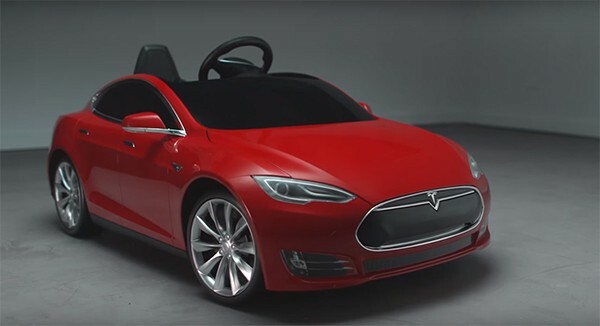 Tesla Motors has teamed up with Radio Flyer to create the ultimate electric car for kids. It’s powered with a long-lasting lithium ion battery, and has more high-end features than your imported minivan. With working headlights, a sound system for a mp3 player and three authentic Tesla Model S colours, this miniature race car ($657) is perfect for car-obsessed kids. There are two speeds – 3km per hour for beginners and 6km per hour for experienced pint-sized drivers. The car is a single seater, but kids have plenty of room to tote their belongings in the boot, which is actually located at the front of the car. In the back is the lithium ion battery, whose life and charging speed is unmatched by other toy cars. The mini Tesla Model S charges in three hours and lasts all day. Radio Flyer has no plans to ship the Tesla Model S to Australia yet, but we’ll keep you updated when they do.